Freight forwarders in Australia are the foundation of our business and the area in which we excel. 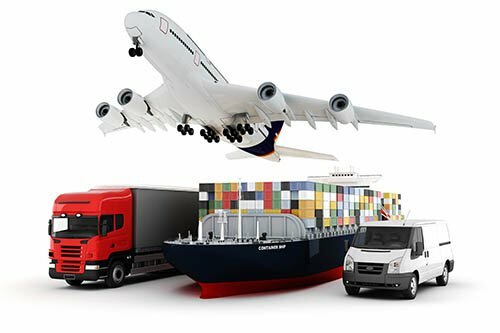 International freight forwarding companies helps in importing and exporting, transportation by road, sea or air (or a combination of these three) and customs clearance. We offer a full range of services that will ensure your goods arrive at their destination – anywhere in the world – with steadfast care and as quickly as is humanly possible. Here at TSL we are fully versed in the specialised and complex operation that is international freight forwarding. Freight companies in Melbourne have spent many years developing systems that cut out the complications, creating a highly effective and efficient service that’s ready for you to make the most of. We are excited to work with you in order to improve your business. Freight forwarding is a procedure that involves a number of different agents: the buyer, the vendor, the packer, the carrier, the transporter and customs. Because these services are so closely interlinked, there is a lot that can go wrong. Thanks to years of honing our systems and developing the very best professional links with all the entities along the freight forwarding chain, we have created a continuous process whereby everyone is working towards one thing: an effective, efficient operation. We are happy to share our experience with you and help you carry out your imports and exports in the most proficient way imaginable. Choosing the right freight and logistics companies in Melbourne is essential for your business. Without a service provider whom you can put your trust in, you are putting your company and your reputation at risk. For this reason, we work hard to provide a service that helps you achieve your business goals and keeps your valued customers happy. For further information, contact the friendly team at TSL Australia today, leading Melbourne freight forwarders. We look forward to working with you. When you use our International Forwarding Services.